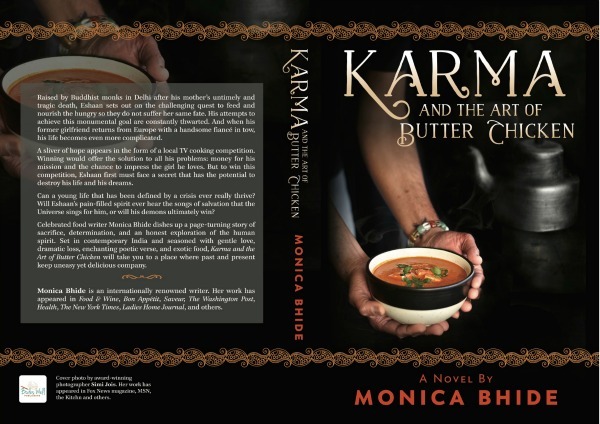 *Disclosure: I received a free copy of Karma and the Art of Butter Chicken and the accompanying ecookbook from the author, Monica Bhide to review. All thoughts and opinions are my own. 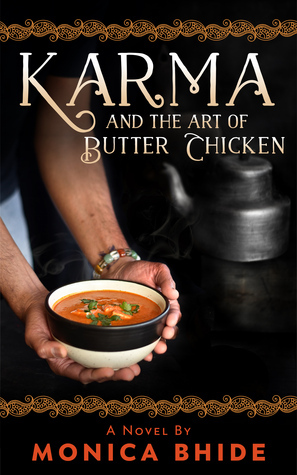 As a foodie and an avid reader, I love books that combine my two passions. And while I tend toward Young Adult or High Fantasy novels, I love reading from a variety of genres – you never know what will strike you as a reader! In all honesty, I had trouble connecting with the characters – perhaps because the culture, upbringing, and worldview is so different than my own. My favorite character by far was Potato Baba. I just loved him and his pureness and how his character (though a minor character in the book) came full circle. And I loved the food inspirations and inspiration in general. There’s a real feeling throughout the book to never ever give up on your dreams and to keep trying and trying and trying. After reading, I was super excited to jump into the accompanying ecookbook. 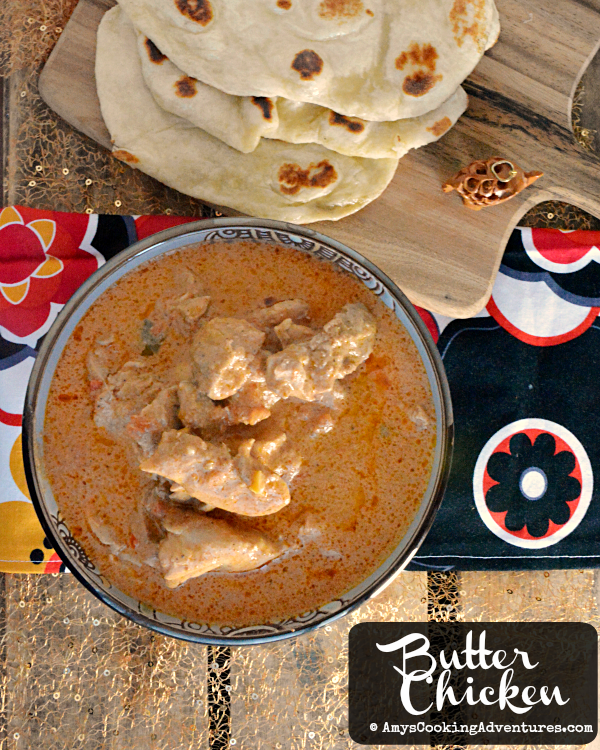 Right away, I gravitated to the recipe for butter chicken. I loved the whole story surrounding the butter chicken and knew I wanted to give it a try. I ended up making a few substitutions to the recipe. I used garam masala instead of tandoori masala because it was all I could find locally (and already had on hand). I also used nonfat instead of full fat yogurt (I didn’t even think to check the fat content when I picked it up at the store!) Because of that, I added half and half to the marinade. Then during baking, my marinade clumped and separated instead of cooking nicely (probably because of the nonfat yogurt – or at least that’s my best guess). Nonetheless, the butter chicken was amazing! And better yet – a recipe the entire family enjoyed! To marinate, place the chicken in a bowl. Mix together the remaining marinade ingredients. Pour over the chicken and stir. Place in the refrigerator to marinate for at least 1 hour. Once marinated, spread the chicken in a single layer on a baking sheet. Bake at 400 degrees F for 20 minutes or until done. Melt the butter in a saucepan over medium heat. Add the garlic and ginger and cook for 1 minute or until fragrant. Stir in the tomatoes and jalapeños and cook until very soft, about 10 minutes. Stir in the tomato sauce. Once the chicken is done, add the chicken to the sauce. Cover and simmer for 10 minutes. Stir in the half and half. Heat through and adjust seasonings as desired. 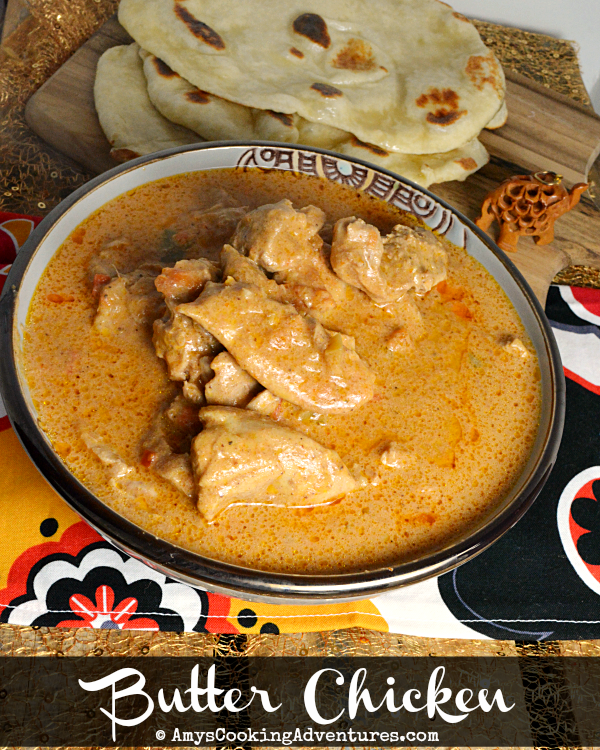 Serve with rice, naan, or chapati. I just started reading this. I couldn't get it to download so I ended up purchasing it instead. I was able to download the cookbook though so I will be ready once I finish the novel.